If you are considering Thailand Island hopping then you are in for a real treat! With hundreds and hundreds of beautiful islands in Thailand, you will find the perfect island for you. 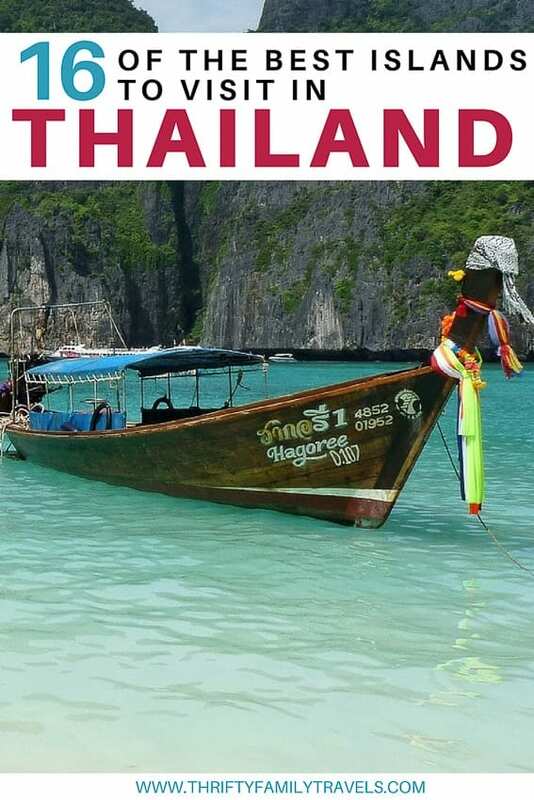 Your hardest decision is going to be working out which islands to visit, which is where this Thai islands guide will come in handy as it covers some of the best islands to visit in Thailand. Whilst I have visited some of the more popular islands in Thailand, I certainly have not visited them all. 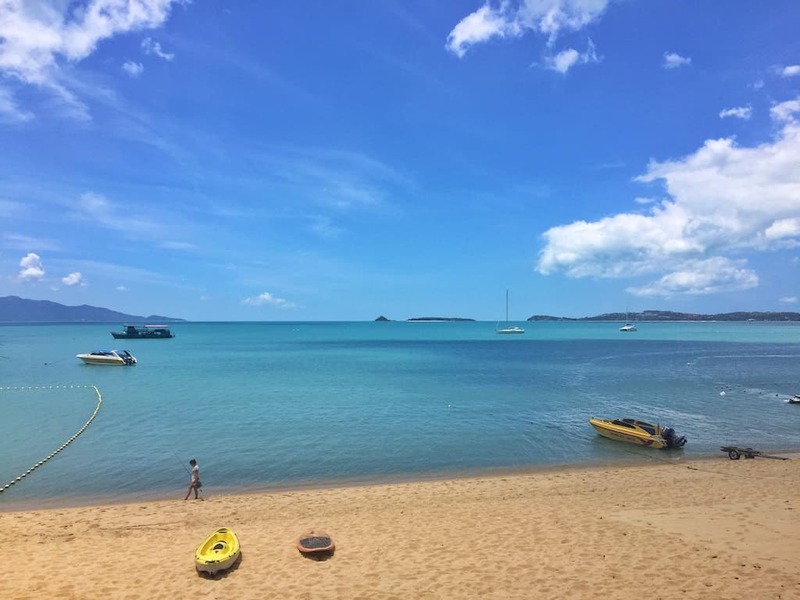 So with the help of some travel blogger friends I have put together this mini Thailand island hopping guide covering off on the some of the best Thai islands to visit. 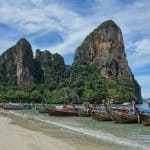 Hopefully this guide will give you some inspiration when deciding which island to visit in Thailand. 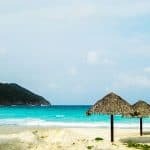 Whether you are looking for the best islands in Thailand for families, the most romantic islands in Thailand, some of the more quiet islands in Thailand or perhaps the cheapest island in Thailand, you will be sure to find it in this guide. The far southern islands which are just north of Malaysia. The provinces of Chanthaburi and Trat is where you will find the best islands near Bangkok. There are over 30 Thailand east islands close to Bangkok in these provinces. 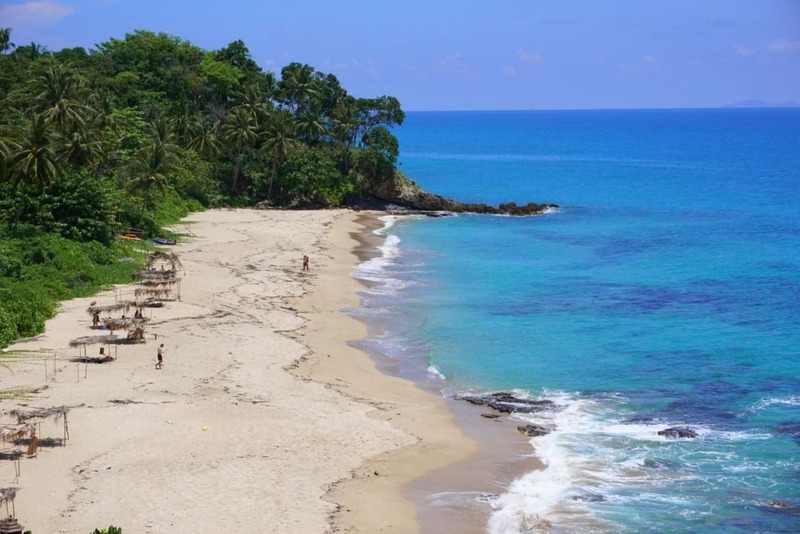 Koh Samet is a beautiful, small island off Thailand’s east coast. It is located about three hours drive from Bangkok, followed by a thirty minute speed boat ride, so is easy to reach. The island is ringed by white sandy beaches, beautiful blue sea and swaying palm trees. Koh Samet is the kind of place that you kick back and relax, where you leave your shoes behind (we took ours off on the speed boat and didn’t wear them again until we left!) and spend your time on the beach or in the sea. 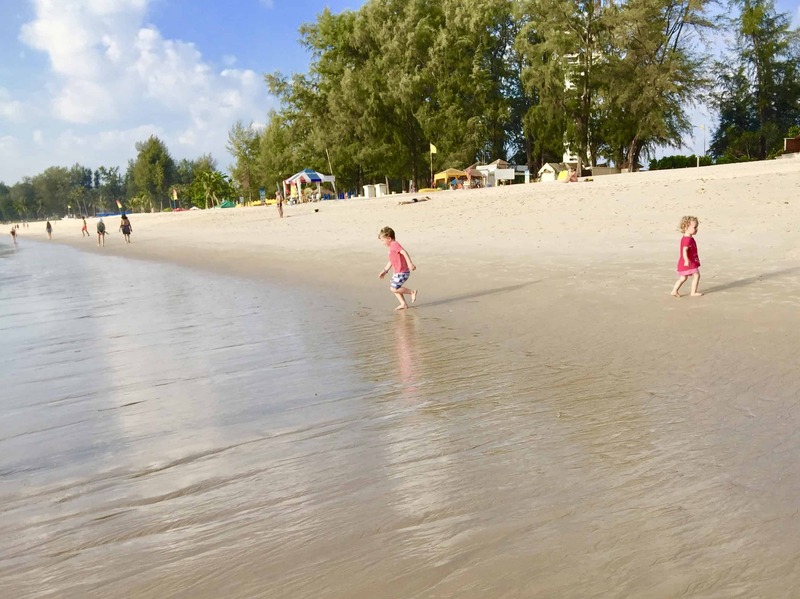 Ao Phai beach, which happened to be where we were staying, is perfect for children with soft sand and calm seas. We stayed in one of the best island resorts in Thailand – The Samed Villa Resort – located right on the beach. The restaurant served a mix of local and western food and featured a dining area right on the beach with a daily dinner BBQ. We loved the fruit shakes and cocktails..! Click here to find out more about accommodation on Koh Samet or to make a booking. Koh Chang (nicknamed Elephant Island) sits on the Gulf of Thailand’s eastern seaboard and is Thailand’s second largest island after Phuket. It’s crystal clear waters, sandy beaches and relaxed atmosphere make it one of the best Thai islands for families. Koh Chang is easily accessible by ferry from Trat. The island’s most famous beaches are White Sand Beach and Klong Prao Beach, which are dotted with numerous bars, restaurants and bungalow accommodation options. There are plenty of more secluded beaches to discover around the island if you prefer sunbathing in less populated areas. 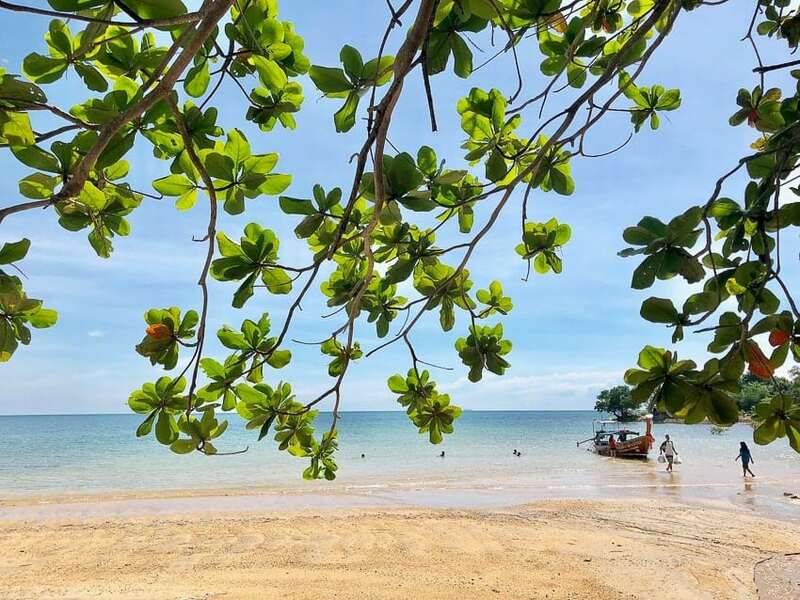 Although Koh Chang is a paradise for beach-goers, it’s also a great option for those who like adventure and the outdoors. Most of Koh Chang is covered by dense jungle, and Mu Koh Chang national park is a reserve area that allows you explore this with various hiking trails. So, take a packed lunch and explore the island on foot, and stop to cool off at various waterfalls along the way. Click here to see a range of activities and tour options available on Koh Chang. Stone Free is a great bar/restaurant made completely of wood (hence the name “Stone Free”) just off the main tourist strip of Koh Chang, where you can find cheap food, delicious fruit shakes and live music in the evening. Click here to find out more about accommodation on Koh Chang or to make a booking. Koh Wai is one of the most beautiful Thai islands. It can be easily reached on a short boat trip from Koh Chang. Ferries depart from Bang Bao, and the ride lasts between 20 minutes (if going on a fast boat) and 45 (on a regular boat). Click here for speedboat transfers. The striking difference between Koh Wai and all other nearby islands is the complete lack of traffic and hence noise. There are no paved roads on the island, but just a small dirt trail that goes around it. Only a handful of people live there, running the few local businesses: a couple of beach restaurants (which serve surprisingly good food); and some bungalow rentals. Electricity is produced by power generators, so the island is completely dark at night; and there is no wifi other than at one of the restaurants. To top this already idyllic setting, Koh Wai is blessed with incredibly beautiful beaches, with soft white sand and lined with palm trees, and clear, clean and blue waters where it is fun to snorkel and admire the local marine life. The lack of electricity and internet put off many people from visiting, so Koh Wai is one of the more quiet Thai islands making it the perfect place to completely relax away from the crowds that are typical of other islands in Thailand. Click here to find out more about accommodation on Koh Wai or to make a booking. Heading to Thailand? 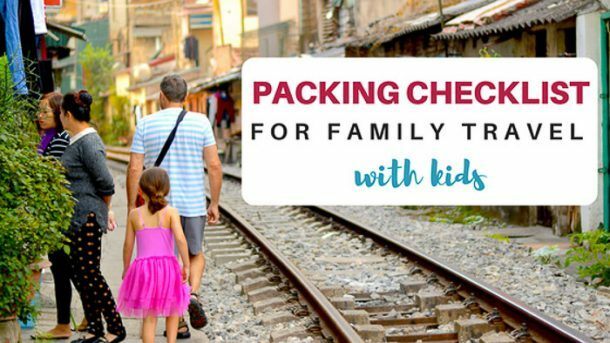 Check out our Thailand packing list. 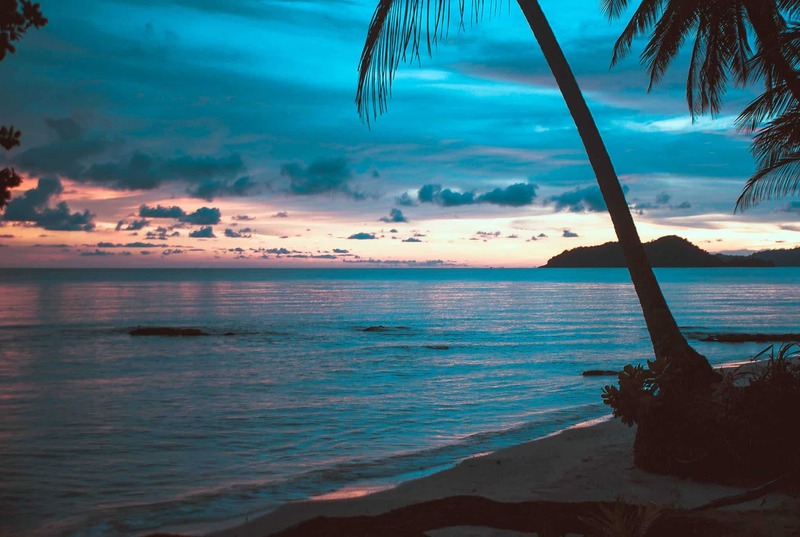 Surrounded by thousands of palm trees and pristine beaches is the tiny Thai island, Koh Mak. Stumble upon Buddhist temples, tiny fishing villages and coconut plantations while exploring this beautiful family-friendly island. Koh Mak is Thailand’s best-kept secret, with untouched nature, chilled beach vibes and breathtaking vantage points. From Laem Ngop Pier (Trat): Travel by speedboat from the Laem Ngop Pier in Trat. In less than an hour, you’ll reach your island paradise for no more than 500Baht. Just be sure to leave Trat before 4pm as that’s the last ferry of the day! 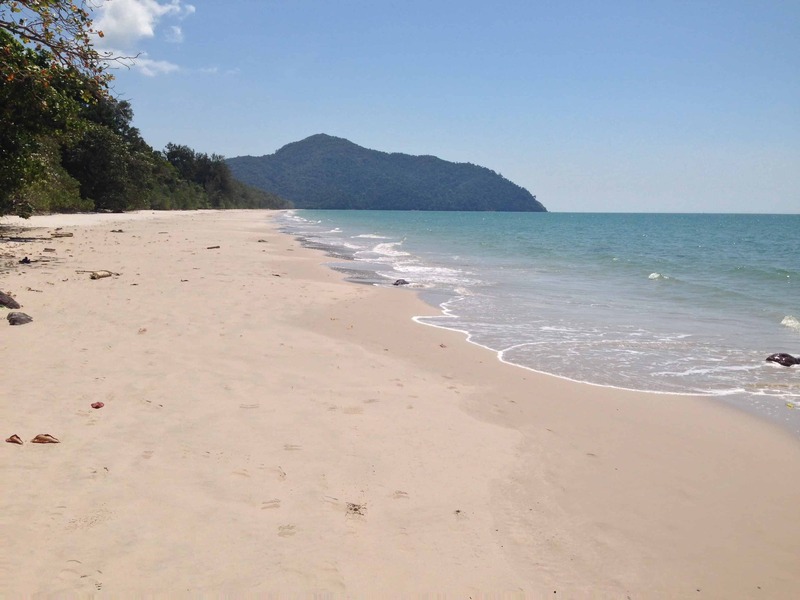 From Koh Chang: Koh Chang, is just 20Km North of Koh Mak and offers both slow and speedboat services. Both depart daily and cost 400B for the 2-hour slow boat or 600B for the 40-minute speedboat. Diving and Snorkeling: Dive the depths of the Andaman Sea, discover vibrant coral reefs and tropical sea life. Cycle Around The Island: The best way to explore Koh Mak is by bicycle. It’s an eco-friendly form of transport and is great exercise too! Water Sports: Kayak or paddle board the bays and beaches of Koh Mak. If you’re looking for adrenaline pumping water sports, why not give windsurfing a try. Cooking School: Take a bit of Thailand home with you and learn to cook your favourite Thai dishes at a cookery school. Soak up the sun on your own private beach at the Seavana Koh Mak Resort. They have all the beach equipment you could hope for available on site and breathtaking views of the island. Enjoy your free daily breakfast on the beach before exploring the incredible island of Koh Mak. 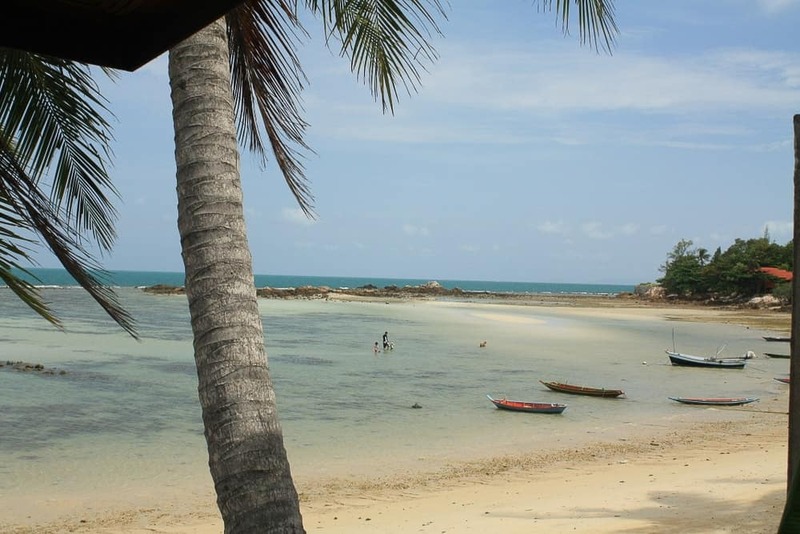 Click here to find out more about accommodation on Koh Mak or to make a booking. Related Post: Headed to Bangkok? Click here for tips on things to do in Bangkok. There are over 60 islands in the Gulf of Thailand. The southern Thailand islands are best reached either by flying to Koh Samui (the largest island in the region) and taking a boat across to the other islands. Alternatively if you make your way across the mainland to the Surat Thani you can take a boat from here. Koh Samui is one of the top islands in Thailand for a holiday with kids. Koh Samui is much quieter and more laid back than its Thai island cousin Phuket. It boasts stunning white sandy beaches, a good selection of excellent restaurants and a large choice of family friendly Thailand beach resorts. 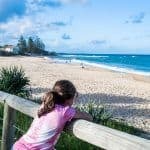 If you are a beach-loving family you will be spoilt for choice when it comes to finding a gorgeous beach to hang out on for the day. But there is more to Koh Samui than just beaches and you will find plenty more to do to entertain the kids. Kayaking and snorkeling in Ang Thong Marine Park is a popular day trip for island hopping and exploring lagoons. There are also two fun water parks to choose from on the island, plus canopy adventures, go karting and crazy golf. Don’t miss a visit to the famous Big Buddha temple to visit for a morning of culture. Click here to see a list of activities and tours available on Koh Samui. We love to stay on Bophut Beach, as it is relatively quiet, with calm shallow water and the Fisherman’s Village here has a good range of restaurants and bars to choose from. We particularly love Coco Tam’s beach bar with its swings at the bar! People who want more action should head to Chaweng or Lamai beaches. You can fly to Koh Samui directly from Bangkok, Phuket Singapore and Hong Kong among other cities. Click here to find out more about accommodation on Koh Samui or to make a booking. While Ko Phangan may be best known for its monthly full-moon parties, there is so much more to the island. When traveling with kids, plan to visit the island away from the full-moon party and you will find quiet and calm beaches, pristine jungle and a sleepy island feel. Grab a budget beach bungalow on the northwest side of the island at Haad Yao with its seaside restaurants lit up every evening. We really liked the chilled out atmosphere of Seaflower Bungalows and the family beach bungalows right on the beach, at a very affordable rate. Or indulge in some of the newer up-market Thailand Island resorts where your can find friendly service and amazing amenities. If you can tear yourself away from the beach, head inland to explore the jungle including deserted waterfalls and swimming holes. The night markets offer up delicious Thai snacks and the kids will love the Banana Rotis cooked right in front of them. There are lots of opportunities to explore the pristine waters of Ko Phangan and neighboring islands by boat. To get to Ko Phangan, fly to Ko Samui and take the 45 minute ferry over to the island or take a ferry from the mainland. Click here to find out more about accommodation on Koh Phangan or to make a booking. Koh Tao is one of the more popular Thai Islands and as soon as you set foot on the island, you can see why. If you arrive in Bangkok, you can then get a bus to Chumphon, Thailand. From here there is a ferry which runs regularly every day to Koh Tao. There are also numerous ferries from Ko Pha Ngan island if you are looking to do other islands first. Just be aware these ferries can. stop running if the sea is rough. 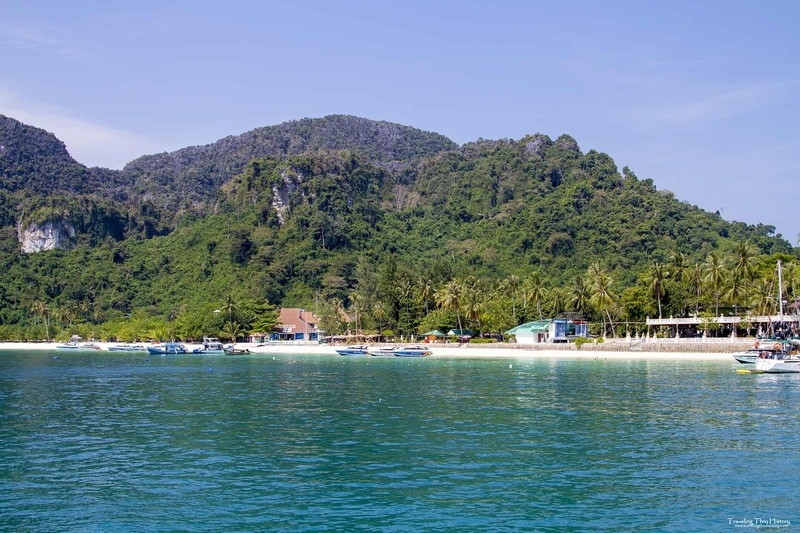 Another way to get into Koh Tao is to fly into the airport on the island of Koh Samui and then get a ferry from there via Ko Pha Ngan (click here for ferry transfers). This will be quicker overall but work out to be more expensive than the bus/ferry combo. Once you arrive in Koh Tao there is plenty to see and do. 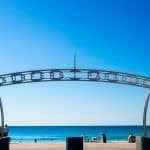 There are many great beaches, usually accompanied by nearby restaurants and bars suitable for families. These offer a great variety of food, from simple western cafe dishes to Thai food, to more upmarket seafood cuisine. Scuba diving is one of the activities Koh Tao is famous for. There are over 20 dive shops here, and it has become known for cheap diving and a great place to learn. Many of the dive schools offer 4 day courses, with day 1 being theory in a classroom, day 2 being practice swimming pool sessions, then days 3 and 4 each consisting of 2 ocean open water dives, to obtain your PADI Open Water certificate. This then enables you to dive around the world while accompanied, to a depth of 18 metres. If you have children with you, they can also learn to scuba dive if over 10 years old. I dived with Simple Life Divers and found them to be very friendly and professional. If scuba diving is too time consuming or adventurous, then snorkelling is another popular activity to do here. The marine life is very good, and there’s plenty of fish and coral to see. A snorkelling day trip to Koh Nang Yuan is great, with many swimming spots and a good view of the island. Apart from relaxing on the many beaches, you can also do some short hikes to get to viewpoints around Koh Tao. Mango Bay, Chalok and John Suwan are particularly good. I’d recommend ensuring your family has trainers on for these, and not flip flops. Also be aware many of the viewpoints have no barriers, so ensure you keep an eye on your children at all times. Koh Tao really does have a lot to offer, both above and below the water. You can choose how relaxing, or equally how adventurous you want to make it, and this is why it’s one of my favourite Thai Islands. These Thai islands close to the Myanmar border are said to be some of the most beautiful Thailand islands. Koh Similan is a group of islands and some of the most stunning in Thailand. They have clear water, white sand beaches and lots of good snorkelling. Most of the accommodation on the islands are basic bungalows or tents and I definitely recommend camping here. During the day the islands can get busy with day trippers but after 3 pm everyone leaves and you are left alone with maybe 20 other people on a paradise island. Hike to the top for beautiful views and wake up early to take in sunrise. You can arrange an overnight stay through the day tour operators in Khao Lak. It takes about 2 hours in a speedboat which means the islands are really far from any light pollution and the star gazing is incredible – you could see the whole Milky Way when I was there. 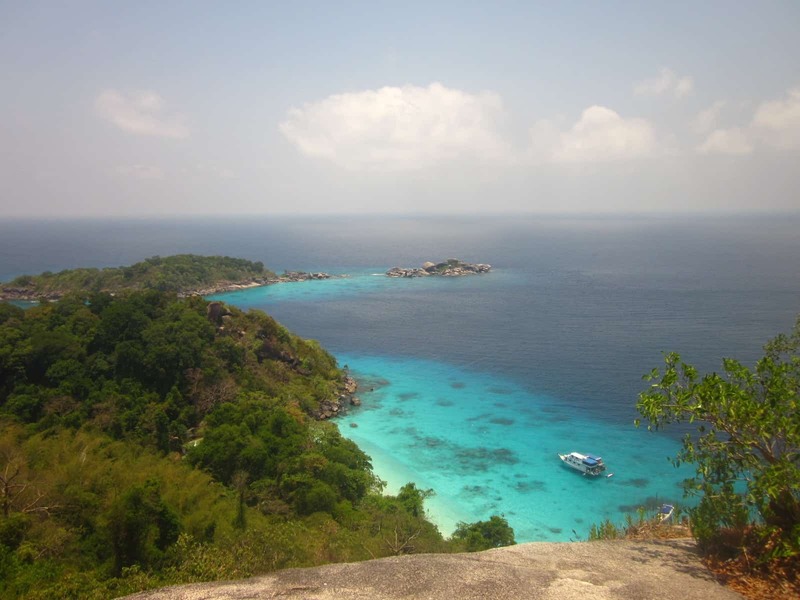 Click here for information about diving in the Similan Islands. The islands around Phang Ng Bay are some of the most beautiful Thailand beaches and islands as well as some of the most popular islands. This is a great area for the first timer who wants to see as many of best Thailand islands as possible as the area is easily accessible by plane and many islands are close together. In fact it is even possible to see a few islands in a single day trip. There’s so much to do and see in Phuket that it’s hard to know where to start! Our main criteria was to be away from the main party town of Patong. After visiting, I was pretty glad we made that choice! We ended up staying near Bang Tao beach in a lovely hotel but that was a bit far from the beach. If you can afford to, I would recommend staying on the beachfront as the hotels looked incredible. We were still very happy with our hotel – the Angsana Villas Resort Phuket. You can do as much or as little as you want in Phuket. There are many stunning beaches to choose from and lovely hotels to hang out in. If you want to venture further afield, we enjoyed Phuket Old Town and the Dinosaur Crazy Golf. You can easily do a bit of Phuket island hopping as there are a few islands near Phuket. Islands around Phuket include the Phi Phi islands, which I really regret not doing. Click here for a list of activities and tours available from Phuket. If you’re wondering about going to Phuket, I would completely recommend it! Click here to find out more about accommodation on Phuket. 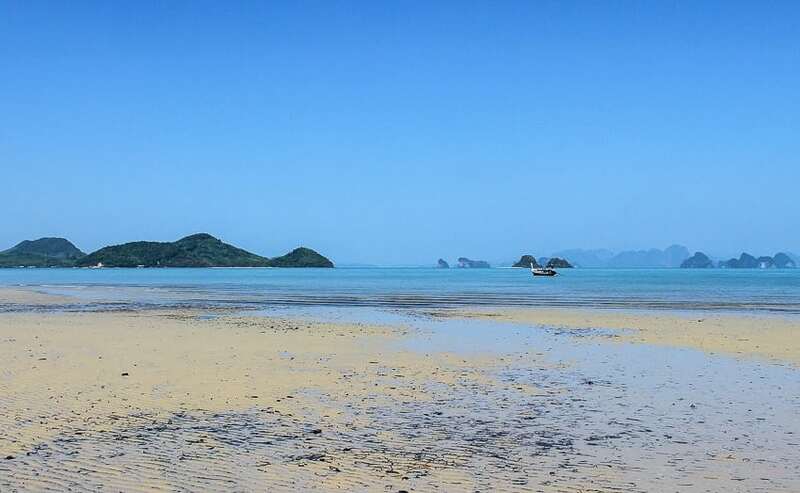 There is one particular island that has a special place in my heart and that is Koh Yao Yai. Because it spoiled us with its serenity. It’s the perfect hideaway, half-way between Phuket and Krabi. As such, you can get there from either of these crowded destinations. After one week on Koh Yao Yai, we were actually surprised to see the number of people in Krabi. There are not as many accommodation options as in other places, but this is a good thing because the result is a lower number of tourists. We opted to stay at Thiwson Beach Resort, which exceeded our expectations and had a wonderful time there. However, you can also choose a luxurious accommodation, such as the Koh Yao Yai Village. My favorite activity on Koh Yao Yai was wandering around on a scooter. The island has pretty good roads so you can easily explore it in its entirety. If you want to go beyond the island, there are tours from which you can choose. The famous Phang Nga Bay is not to be missed and it’s situated much closer to Koh Yao Yai than to Krabi or Phuket. Given its peacefulness, I would also recommend it as a family destination. Click here to find out more about accommodation on Koh Yao Yai. Phu Quoc Island in Vietnam is another gorgeous tropical island. 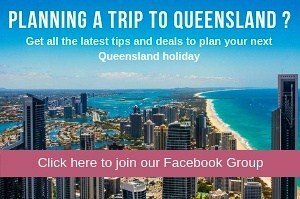 Click here to read our guide here. My favorite island in Thailand is Koh Phi Phi. Aside from being a warm and beautiful place, Koh Phi Phi is full of a variety of exciting activities. You can do island hopping tours, feed monkeys, explore a bustling series of streets with fun shops, swim with sea turtles, rock climb, visit mangrove forests, go scuba diving, take cooking lessons, rent a kayak or canoe, do yoga on the beach, and hike to some amazing views. Or if your preference is to lay on the beach and soak up the sun instead of doing excursions, there’s plenty of beach space for you to relax and indulge in as much sun as you need. There is literally something for everyone on this beautiful tropical island. Just don’t forget the sunscreen. To get to Koh Phi Phi you can take a ferry or a speed boat (click here for speed boat transfers). We took the ferry and loved it. You will get a scenic tour of some of the smaller islands and lovely ocean views. From Phuket at Rassada Pier, the ferry is about two hours. If you head there from Krabi of Koh Lanta, the ferry is about 90 minutes (click here for tickets from Koh Lanta or here for Krabi). As for places to stay, there are dozens of hotels, hostels, and resorts. We stayed in a backpacker hotel near the beach and loved it. Whatever your travel style is, you will definitely find it on Koh Phi Phi. Click here to find out more about accommodation on Koh Phi Phi Don. 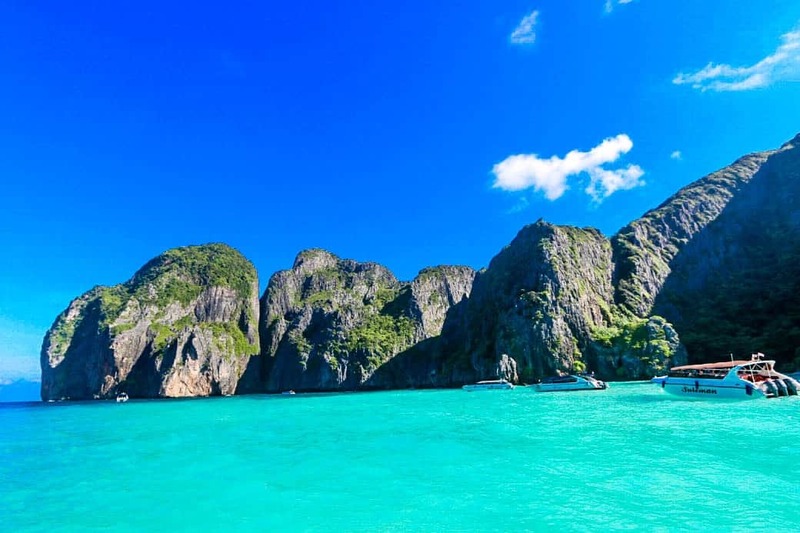 Koh Phi Phi Le is an uninhabited island in the stunning Andaman Sea, with Maya Bay being made famous by the film The Beach, starring Leonardo DiCaprio. The limestone cliffs and mountains are a sight to behold and well worth the effort even if you do not get into the water. This gives a great way of experiencing Phi Phi Le without adding to or dealing with, the excessive crowds. It is a highly recommended activity and I encourage you to add Phi Phi Le to your itinerary when you are in Thailand. The beauty of Phi Phi Le and surrounds is undeniable. Sadly, it is a victim of its own beauty and popularity. This doesn’t mean you shouldn’t visit this area, although you do need to plan a visit accordingly, to avoid the hordes of tourists and minimise your impact. Activities in the area include swimming, snorkelling, diving and sunbathing. Boating around the entire Phi Phi archipelago is a breathtaking experience. You should avoid fish feeding and encourage any boat captains to not use an anchor on the coral areas. A longboat is an option from Phi Phi Don, an inhabited island 1.5km away. However a longboat is not recommended if there is any swell as they are more prone to tip over. Longboats are not used during the Monsoon season from June to October. 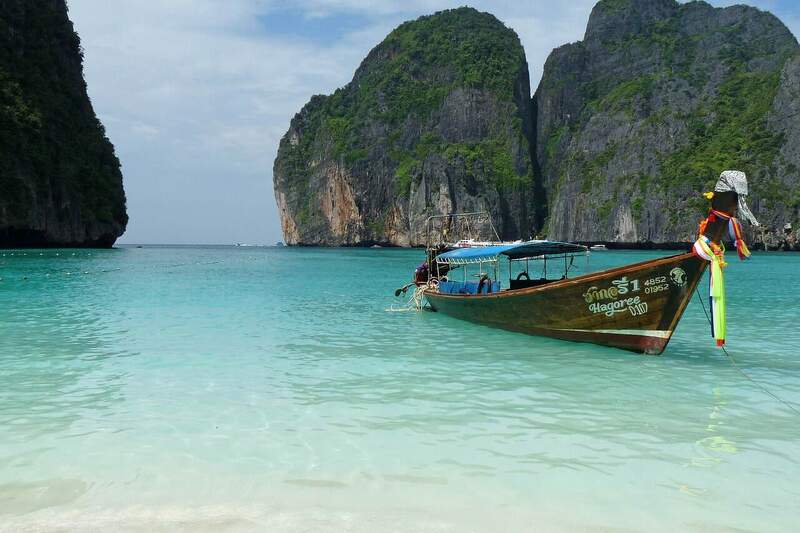 Hiring a longtail boat from Phi Phi Don is the thriftiest way to see Phi Phi Le. Koh Phi Phi Le is one of the islands near Krabi and also one of the islands off Phuket, so most people come via an organised boat tour from Phuket or Krabi. Thailand is a wonderful contender for some winter sun. Although there may be the odd (warm) rain shower, these often pass very quickly. 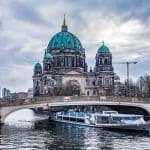 Whether you are a culture vulture, an active sporty family or prefer to relax and unwind – there really is something for everyone. One of my preferred holidays in Thailand is exploring the various islands. 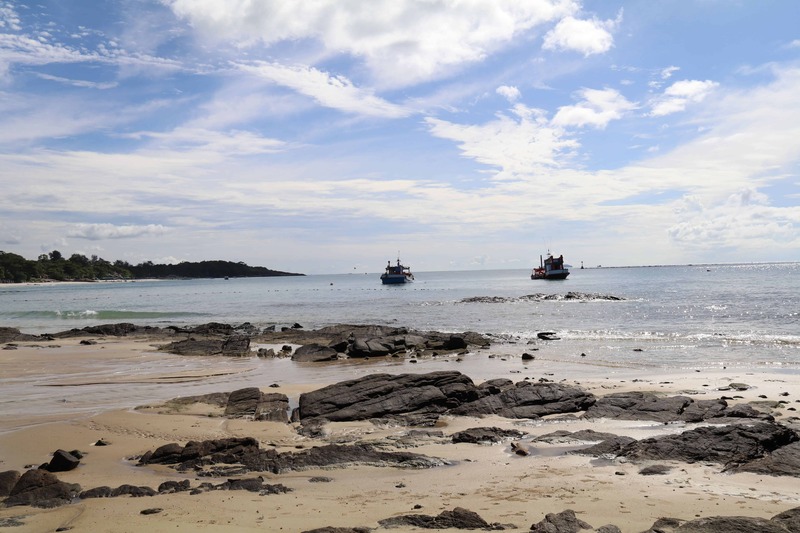 Recently, we went off the beaten track and visited Koh Jum after a short stay in Krabi. An hour taxi ride followed by a 45 minute long boat ride brought us to this idyllic island spot. Think Thailand before mass tourism descended but with all the comforts ( but with no 7/11 in sight!) With various accommodation options from there is something suitable for all budgets. Koh Jum is a perfect island base for complete relaxation and those famous Thai massages. Boat trips can be taken to the amazing Monkey Island with its powder white beaches and cheeky little wild local monkeys. The famous Phi Phi is also nearby. Kayaks and snorkels can be easily hired and of course it’s a diving paradise. The undersea life is full of the most colourful fish living in the aquamarine sea. There is a wide variety of accommodation to be found from budget to luxury. We loved Piman Pu for rustic chic and also the Koh Jum Beach Villas for a more luxurious feel. Both were wonderful for families! Click here to find out more about accommodation on Koh Jum. If Goldilocks had a favorite Thai island, it would probably be Ko Lanta. Popular enough that it has plenty of hotels, restaurants, and beach bars. Yet not so over-touristed that you can’t find your way to your own special strip of sand. As Koh Lanta is one of the islands around Krabi it is easily accessible via a drive and short car ferry from Krabi, or via a longer ferry if you’re coming from Phi Phi or Phuket, Ko Lanta is just far enough out of the way to keep the crowds from overwhelming it. And, as one of Thailand’s largest islands, there’s plenty to explore. You can trek through the jungle to a waterfall, go snorkeling to take in the underwater life, or visit the Emerald Cave. And, of course, Ko Lanta has plenty of incredible beaches. The aptly-named Long Beach is the most popular, and the closest to the ferry. But here’s a tip for your Thailand adventure: if you can find your way to the southern end of the island, you’ll be rewarded by several small but stunningly beautiful and unspoiled beaches. There’s plenty of guest houses and hotels abutting Long Beach. For those that like to stay in luxury Thai island resorts they will love Layana Resort, while the more-budget minded should check out the Thai House Beach Resort. Wherever you stay, you’re sure to enjoy this beautiful Thai island. Click here to find out more about accommodation on Koh Lanta. 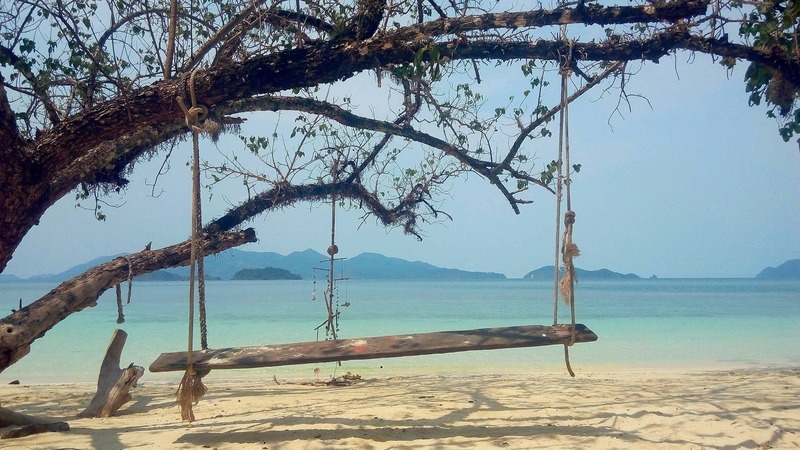 Koh Ngai is perhaps one of the most underrated islands in Thailand. A small island which is a part of the Karabi district but ironically closer to Trang. Not the typical island party destination as many have known but a place for relaxation and tranquility for couples and families. Barely a handful of establishments on sight, this area relies on its beautiful scenery and recreational activities at the beach. Just over 10 kilometers away from south of Ko Lanta, this is place should be added to your itinerary when visiting Ko Lanta. Ferry -Daily departures are available on peak season(November-May) from Pakmen Pier(in Trang district)- Koh Ngai during peak season. It takes almost an hour by ferry and 30 minutes by speedboat. A One-way ticket by ferry costs under 400 THB. On Peak season only: The ferry trip starts from Baan Saladan Pier at Koh Lanta and on to Koh Ngai. The whole trip is about 2 hours long. 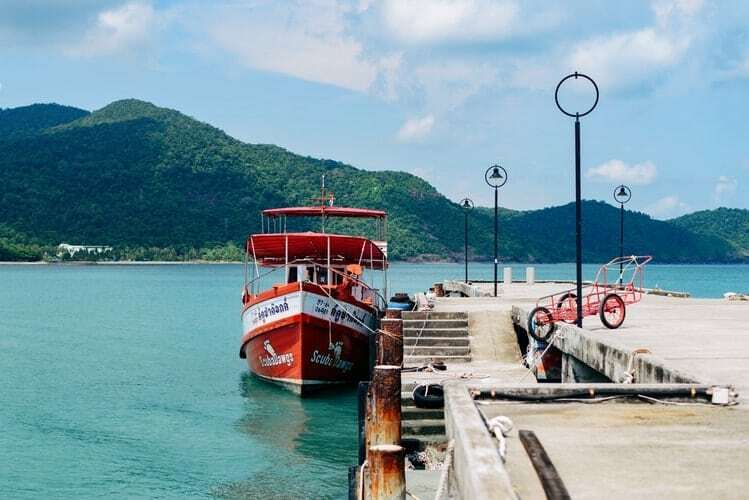 Express boats: Koh Lanta-Koh Ngai Resort Pier – If you want the luxury of being picked up in the comfort of your hotel in Koh Lanta and on to Koh Ngai Resort Pier, then Express boats are the way to go. The ticket for the air-conditioned boat costs 700 THB. Take a walk on the beach – If you think “long walks on the beach” is too cliche, think again.Top it up with holding hands with the love of your life while enjoying the view is an experience you never forget. Rent a Kayak and roam the seas. Go snorkeling: The best spot for snorkeling without a doubt is the southern part of the island.Expect to see lots of tropical fishes and colorful reefs as they await you enter the blue waters of Ko Ngai. Where to eat? 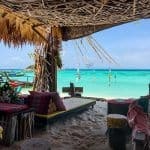 Sea Taste, Koh Hai Seafood There are barely any bars but Light My Fire Society Bar is the closest thing that’s ever a bar.If you fancy, a “hippie vibe” sitting around campfires while enjoying music with the rest of the guests, this could be for you. 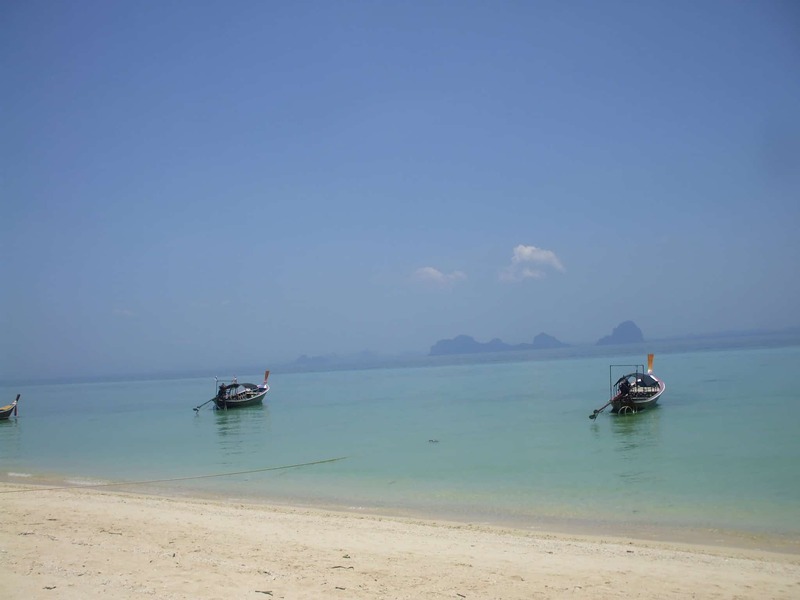 Click here to find out more about accommodation on Koh Ngai. One of our favourite Thai islands is Koh Tarutao in Thailand. 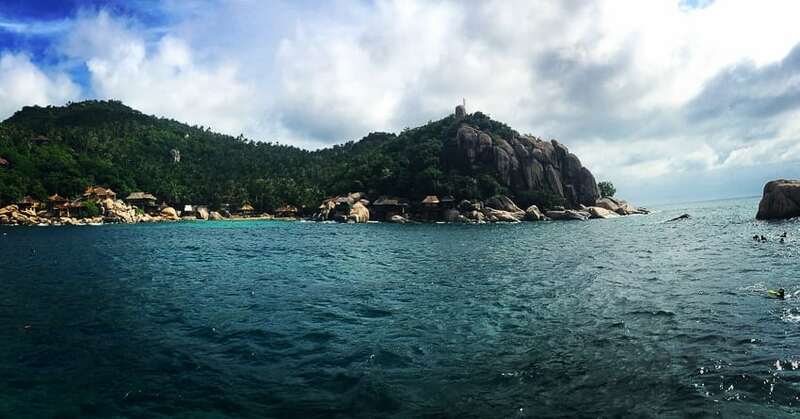 Koh Tarutao is the largest island in the Tarutao National Marine Park and a former concentration camp for political prisoners. It’s heavily protected by the Thai government with very few facilities. You can reach Koh Tarutao via a 1 hour speed boat from Pakbara, which costs around 450 bahts per person each way. The entry point is at Ao Phante Malacca in the north of the island, which is where the camping ground base is. Ao Son beach was our favourite on the island, located around 6km away. We rented mountain bikes and visited as a day trip. When we got here we were so surprised. We had it entirely to ourselves. It was completely isolated, so raw – simply stunning. Just behind it lies the island’s dense jungle which you can easily get lost in. Koh Tarutao is perfect for adventure seekers where you can also do snorkelling, kayaking and trekking. Thankfully, it’s heavily controlled by the Thai government to prevent it being destroyed by tourism. As such, there’s not many facilities on the island, with only a few restaurants and huts to sleep or areas to pitch your tent. We absolutely loved Koh Tarutao. It is one of the places we will always remember from our travels and definitely crave to return to one day. 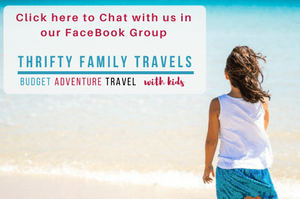 Child friendly hotels in Thailand. The destinations such as Koh Lipe, Phi Phi, and Krabi are the leading beach itinerary spots for the tourists of all over the world. Thailand archipelagos offer a ferry service to connect all the island destinations for the tourists. Like you can take Ferry to Phi Phi from Krabi and that time travel agencies help you a lot. I found travel by Andaman Ferry service with the route of traveling in the Andaman Sea in Thailand.